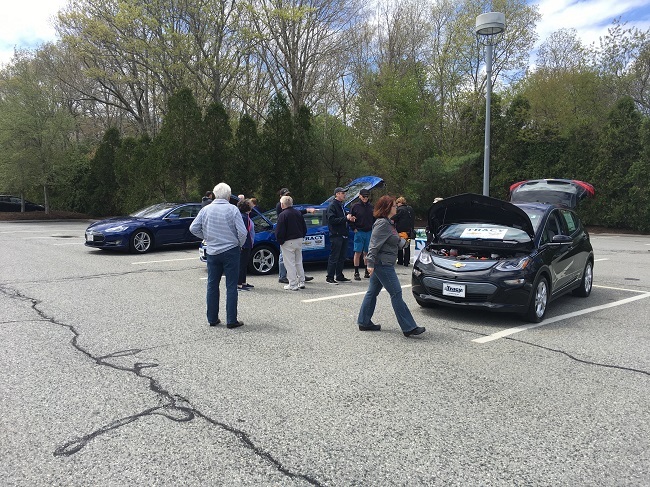 Special thanks to Sullivan Brothers Toyota and Tracy Chevrolet for bringing the Prius Prime and Bolt/Volt. Great variety of EVs from the Leaf, to the Tesla X. 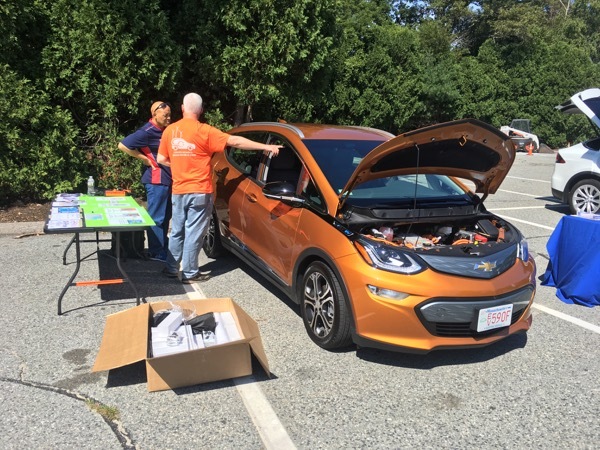 The New England Electric Auto Association will be hosting an electric car ride and drive event at the Plymouth public library. Several dealers as well as actual owners will be present with the latest electric and plug-in hybrid vehicles to share experiences and offer test drives. This is a great opportunity to test out an electric vehicle without the typical dealership setting of possibly being pressured to buy. Light refreshments will be served. For more information, send a message to Jesse using the Contact button above. Registered attendees report 73,800 electric miles driven.